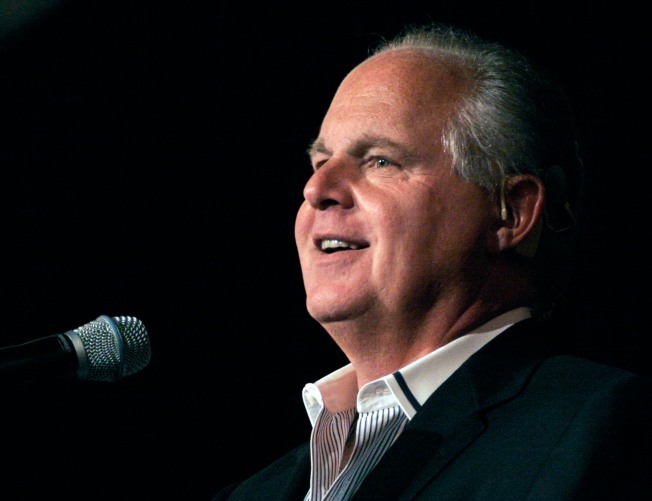 Limbaugh called Obama's health care legislation the "Ted Kennedy Memorial Health Care bill." WASHINGTON — A Democratic official rebuked conservative commentator Rush Limbaugh on Friday for suggesting a health care proposal will be named in memory of Sen. Edward Kennedy, who is battling brain cancer. On his radio show, Limbaugh said President Barack Obama's proposed health care revisions will be championed by "the liberal lion Teddy Kennedy." "Before it's all over, it'll be called the Ted Kennedy Memorial Health Care bill," Limbaugh said. Brian Wolff, executive director of the Democratic Congressional Campaign Committee, called the remark outrageous and reprehensible. Limbaugh has been at the center of a partisan dispute since telling a conservative group last month that he hoped Obama's economic policies would fail. Democrats have accused Republicans of letting Limbaugh be their de facto leader, which GOP officials deny. The Democratic National Committee has enlisted its members to come up with a slogan to put on a billboard in Limbaugh's hometown of West Palm Beach, Fla.
Limbaugh did not respond immediately to a request for comment that was sent to the e-mail address provided on his Web site.